Kongsberg will unveil the innovative cNODE Micro system at Ocean Business this week. 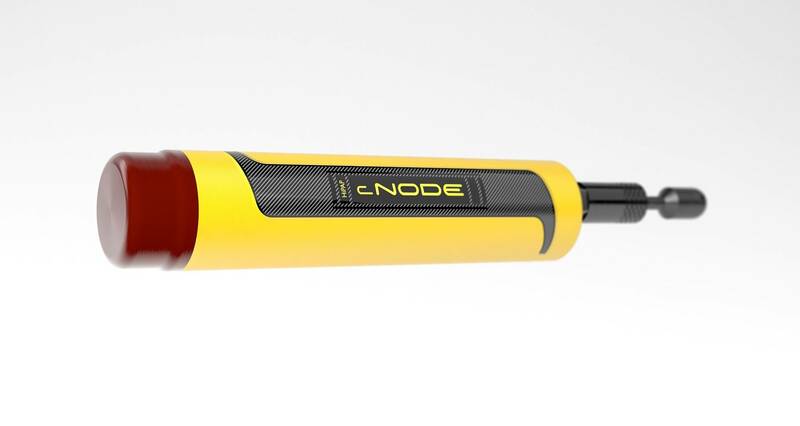 As the smallest member of the highly regarded cNODE series of subsea transponders, the new cNODE micro is designed to provide range accuracy better than 2 cm and is ideally suited for divers and shallow water ROVs, at depths down to 600 meters. With dimensions of 245 x 55 mm, cNODE Micro is both compact and light weight. It uses Kongsberg Maritime’s proprietary Cymbal digital acoustic protocols to provide the optimal positioning performance using the Kongsberg range of SSBL systems, from μPAP through to HiPAP. cNODE Micro is extremely flexible, featuring both SSBL & Long Baseline positioning capabilities. With its better than 2 cm range accuracy and capability to measure baselines between transponders on the seabed, cNODE Micro is ideal for simple diver metrology or archaeology. Multiple cNODE Micro transponders can be interrogated simultaneously in SSBL positioning mode using the μPAP and HiPAP Fast Track feature to ensure the fastest possible updates during operation. Built in a coated, anodised aluminium housing, cNODE Micro features an internal rechargeable Li-Ion battery offering up to 10 day operation between charges with up to 28 hours operating using Cymbal’s 500+ channels. Its telemetry capability allows battery status to be read during operation and an integrated tilt sensor can be turned on and off with positioning updates. It also features a pressure relief valve for safety and an external connector for configuration, software update and charging.